This is a cool site that would be appropriate for grades 3 and up to make mini projects. One of my favorites is the Rebus Generator. Momgineer is one of my favorite sites. I know I have shared it before. This week she is showcasing several idea for Thanksgiving. These would be good to support studies on Native Americans as well. Use this drag, drop, and type Google Slide to have your students identify facts from a unit of study. To get your copy, click on the image and then click Make A Copy. Student directions are on the slide in the notes area. I wanted to share a comment a student told me last week. They were having an inside recess time and he wanted to work on the coding portal that I have on my site. He was on a site coding site accessed through my site. He said the teacher told him he could not play on the site because it didn't look "safe." I wanted you to know that I have previewed all the coding games I have linked to my site. Each one is very safe and is a great way for students to learn problem solving skills. Please clip on the image to check out my site and feel free to book mark it for students to access during class times. Coding games make great anchor activities. 5. Friday at the Movies - Always one of my favorites! 1. I am absolutely enchanted with Mystery Doug. This FREE site has a new video each week that you can show your students to inspire questions. 2. Another amazing website I stumbled across this week was Freckle.com. This is a reinforcement and practice site. It covers skills like English, math, science, or history. I love that it has a teacher interface that allows you to keep tabs on student progress. It imports students from Google Classroom making getting students in a breeze! 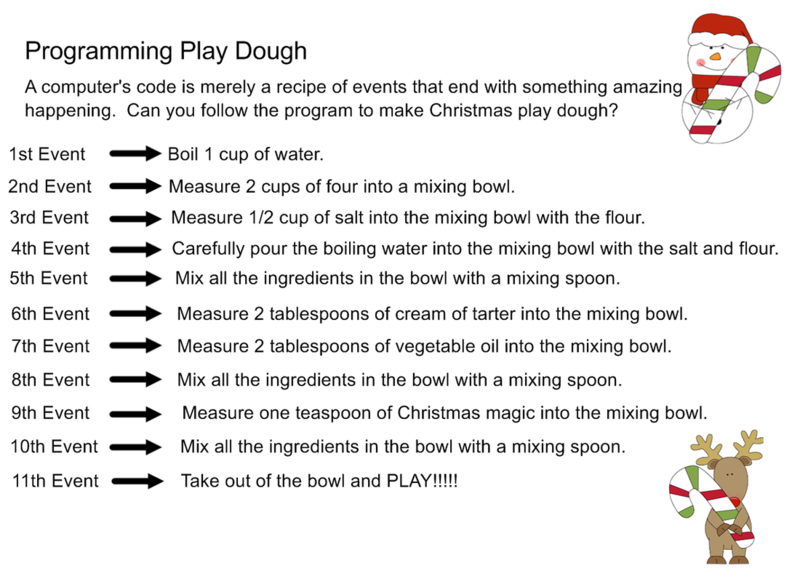 This week instead of giving you step by step directions, I would like to share a site with you that has lots of different STEAM ideas. You need to check out Momgineer. The page I am linking you to is called Bird Beak STEM. This set of challenges starts with a choose your own adventure story. The choices the students make in the story affect what happens to the birds. Students not only get to learn about adaptations but also get to see how pollution interferes with an animal's habitat. I found a great hyperdoc example online that centers around informational writing. I would love to work with you to create your own version of this. Third grade teachers, this could be used as is since you cover adaptations in science. To see the resource, click on the image to the left. You can then add to your Google Drive. 5. Friday at the Movies - Still love Michael! It's not often that I come across a site I haven't seen before but I did stumble across a new one for me. Forgive me if I am recommending a site you already know about but I found this one cute! There are some good anchor activities here. Check out Toy Theater! STEAM challenges don't always have to require messy materials. The purpose behind STEAM is to get students problem solving. You can use a simple site like Physics Games! Would you like to create your own app for your classroom? Shake Up Learning has a great idea for how to use Google Slides to accomplish this. She even provides the template and will walk you through how to use it. Note: Although this isn't difficult, there are a lot of steps involved. If you are interested, please let me know if you need my help. You really need to check out Google's Chrome Web Store! Here are several digital math apps that you may appreciate. Remember, all you need to do is send Joe an email and ask him to add these to your students' Chromebooks. 5. Friday at the Movies - September is gone. We should say goodbye by sending it off to Earth, Wind, and Fire's September as played by the Floppotron! 1. No that we have chromebooks, have you ever considered playing a QR code game? The first thing you need to do is head over the the Chrome Web Store and choose a QR Code Generator. There are plenty to choose from! Send an email to Joe Goldman with the name of the extension and ask that he add it to the grade level's Chromebooks. The browse through the QR Code tasks on Teachers Pay Teachers. If you find something that you like, you are welcome to purchase it but what I like to do is look through what others have and then create my own task cards. This way you can be assured that it aligns with our SOLs. Once you have your task or activity, you can use the QR Code extension and the Chromebook's built in camera to run the activity. 2. I found this wonderful graphic organizer research project online. I altered it to fit in with the first of the year's region unit. Fourth grade teachers can use it to research VA's regions while Fifth grade can research US regions. Click on the image and then Make A Copy to get your own copy. CRTL + Shift +T will bring back a recently closed tab. If you close something out that you really want opened, try this! You have to keep repeating it if you closed multiple tabs. CRTL + F will open a white box at the top of your web page and allow you to look for a certain word. CRTL + C will copy something you have highlighted. CRTL + V will paste what you have copied. 4. I recently had a conversation with a teacher who asked me what STEAM stood for. STEAM is an acronym for science, technology, engineering, arts, and math. It consists of a challenge that integrates one or more of the components and can be used in any curriculum. Here is a really cool STEAM project that can be used as a spelling center. Provide the students with a lego mat and two colors of lego bricks. Also make sure that there is a copy of the binary alphabet close by. With the binary code letters are made using only the digits 1 & 0. Encourage the students to "build their words" using the binary code. When you are looking at letters for as long as it will take to find the correct bricks, you are bound to remember the words! This idea came from a book called Code with Lego; however, I think you could do the same thing if you had two different colors of unifix cubes or two colors of unit blocks. 5. Friday at the Movies - Eddie B, what can I say? He says things I WISH I could say. LOL!! 1. Check out this site they have tagged as Teachers Give Teachers! It is full of hyperdocs. A child's first assertion of independence comes early on around the age of 2 or 3 with a declaration of "I can do it myself!" Sometime after they enter school we inadvertently start teaching them to wait for us to tell them what to do, how to do, when, and why to do. A hyper doc is a carefully crafted lesson play which puts the ownership of learning back into the students' hands by including links to sites that provide information about what they are learning as well as links to means of documenting what they have learned. Browse through this site and if you would like help in creating a hyperdoc, please le tme know. 2. Robots, robots, everywhere! We now have enough Bee-Bots, Spheros, Ozobots, MBots, Colby Jacks, and Dash robots for whole class learning tasks. I use to go to conferences where these tools were showcased and lament the fact that our students didn't have an opportunity to use these tools. Over the years we have been able to collect enough of each of these robots for an entire class to take part in a robotic learning activity. Please! Schedule a time to meet with me so we can plan an engaging learning experience with your students! 3. This is a favorite activity from last year. I used this with a couple of classes and students loved it! To get your own Time Cover file, please click on the image. Then click: Make a Copy. Why not schedule a breakout session? What is a breakout? Breakout is a challenge where students solve puzzles based on content. The solved puzzles provide clues that will open a lock. The prize is the journey. I use to think I had to put something in the box that the students would find once they solved all the clues and opened the box. Nope! I discovered that just the process of figuring out the clue and being able to get into the box was reward enough for most students. I have created or hosted breakouts for grades 1-5. Let's get together and plan one for your class! 5. Friday at the Movies - Long but good.